This recipe is another classic from my recipe box. I originally got this recipe from the Junior League “Perennials” cookbook in the 1980s when I first started my catering business. Since then, I’ve brought it to so many gatherings and people absolutely love it! Drain and crumble bacon; set aside. Heat bacon drippings in skillet. Add mushrooms, onion, and garlic; cook. Stirring often, until liquid has evaporated. Stir in flour, salt, and pepper. Add cream cheese, Worcestershire, and soy sauce; cook. Stirring constantly, until cheese melts. 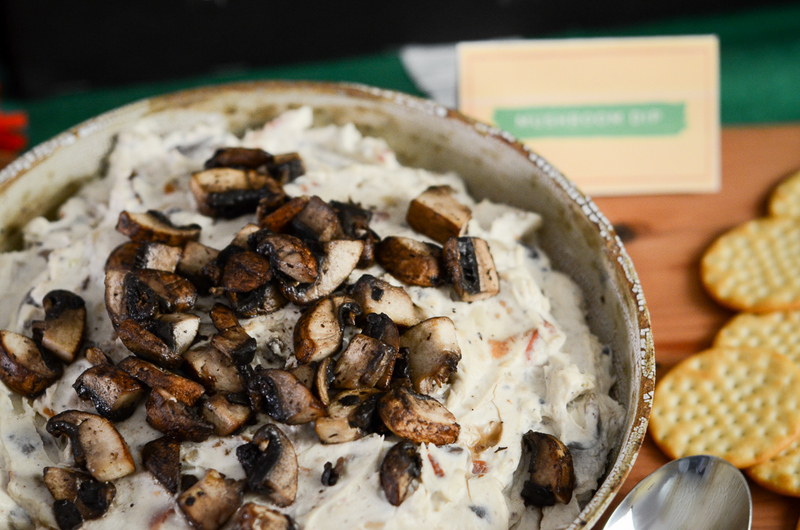 Stir sour cream and bacon into mushroom mixture; cook until thoroughly heated, stirring constantly. (Do not Boil.) Serve warm with assorted crackers.